The ASHRAE and B-52 security standards have been established to minimise risk and protect the safety of mechanical room personnel and the environment at large. Available in a special configuration, the 301EM mechanical room controller has been carefully designed to meet and even exceed these rigorous standards. The Vulcain 301EM can be configured to offer automatic fan, horn and strobe activation in addition to manual fan activation. 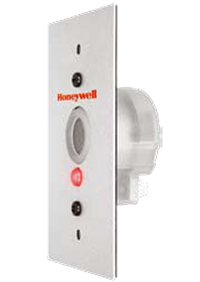 Latching relay for manual alarm recognition, silence key for manual horn deactivation, built-in 24 Vdc outputs for horn operation, and 2 breakglass switch accessories for manual alarm activation ensure optimal performance. 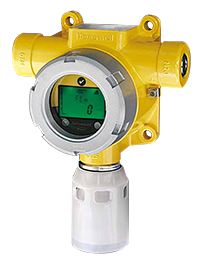 The 301C continuously monitors and controls toxic gases, combustible gases, and Oxygen hazards. Designed for installation and operational simplicity, the VA301C reduces the cost of installation and ownership. 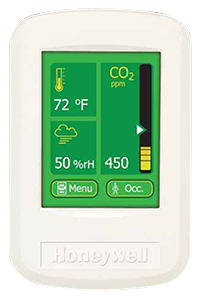 The 301C controller offers unique zoning capabilities which permit the averaging and comparison of multiple sensor readings. Zoning can reduce operational costs by ensuring that localised brief fluctuations registered at a single transmitter do not activate relays. 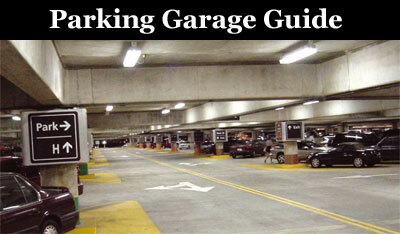 For example, a car idling in a parking structure may locally increase a reading at a nearby transmitter. Rather than activating a fan as a result of the temporary localised fluctuation, zoning can be used to limit relay activation until the average reading for a zone exceeds a set-point. 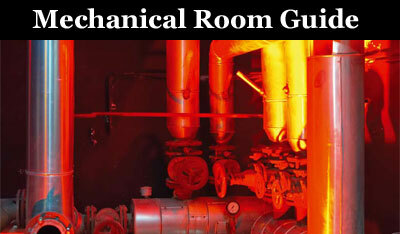 This can reduce run time of fans, yielding savings in both energy usage and wear and tear. 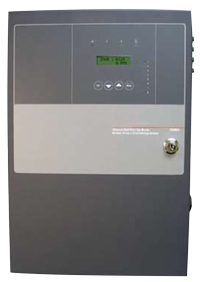 The 301C has the capacity to manage input from three Modbus channels for up to 96 transmitters and up to 50 wireless transmitters which can be associated with up to 126 zones. Transmitters can belong to an unlimited number of zones, providing maximum operational and control flexibility. IAQPoint2™ puts money in your pocket and fresh air comfort into your building by using demand-controlled ventilation and triple monitoring (CO2 or VOCs, Temperature and Humidity). High levels of CO2 can cause drowsiness and create an inefficient work environment for building occupants. To combat this problem, building managers may choose to run the ventilation system continuously, but this is an inefficient, costly practice. With IAQPoint2 in place, the ventilation system can do its job appropriately and efficiently, to the benefit of your bottom line. IAQPoint2 detects many gases common to building areas including carbon dioxide, carbon monoxide, methane, nitrogen dioxide and VOCs. IAQPoint2’s unique, patented touchscreen monitor brings leap-forward technology right to your fingertips, with benefits that extend from simplified installation and commissioning to user operation. You can set password levels and protect from tampering; configure fan activation set-points; select screen content, engineering units and language. You get control. 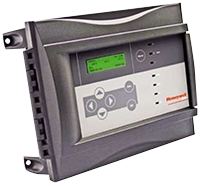 All detectors are supplied pre-configured and include two programmable alarm relays, one programmable fault relay as well as an industry standard 4-20mA output (sink or source selectable) and MODBUS communication. The scale, range, relay operation, alarm set point and electronic tag number of the detector can be adjusted using the transmitter’s LCD and non-intrusive magnetic switches. Outputs are automatically inhibited during adjustment, thereby reducing the risk of false alarm at the control panel during maintenance. 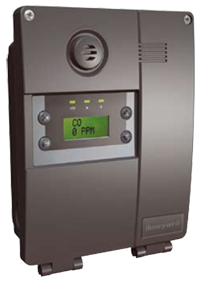 The ToxyPoint two wire transmitter provides continuous monitoring for Carbon Monoxide in ambient air. ToxyPoint is designed to reduce the overall cost of ownership with a lower initial investment, eliminating maintenance costs and minimising building electrical operating costs. ToxyPoint delivers accurate, reliable protection from Carbon Monoxide by combining a Carbon Monoxide detector (0-500 ppm), wide supply voltage range and a linear 4-20 mA output with two factory set alarm levels and two alarm outputs. No extra transformer is required. The full function sensor integrity test is a unique safety advantage of the Vulcain range of equipment. The automatic daily self-test verifies sensor operation and advises the control system if the sensor is defective. The SQN8x offers accurate monitoring of the presence of a wide variety of refrigerants or other toxic and explosive gases in a surveillance area of up to 8 different zones. A low maintenance diaphragm pump draws ambient air to the sensor from a maximum distance of 1000 feet. A high performance sequencer synchronises the mechanics and the electronics so that the levels of detectable gases are properly registered for each of the 8 zones. The unit is fully operational from the box, making for simple, hassle-free installation. 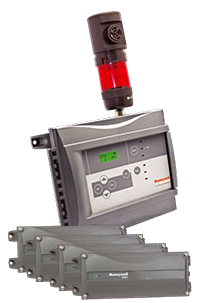 The new generation of SQN8x provides an excellent, cost-effective, centralised gas detection solution. 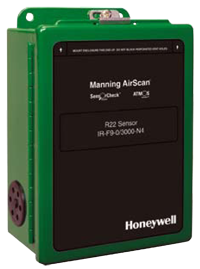 The Manning AirScan™ iR infrared sensor is an affordable microprocessor-based sensor that is selective to refrigerants and, because of its stabilised design platform, will provide years of service and will maintain the highest level of accuracy and reliability. This highly versatile sensor features SensorCheck™, a unique technology that continuously monitors sensor performance that enables it to provide worry-free performance throughout the life of the sensor. Honeywell Analytics’ Self-Contained Breathing Apparatus (SCBA) meets the demands of industrial users who want the finest respiratory protection against environments that are Immediately Dangerous to Life or Health (IDLH). The SCBA is designed to be a basic industrial unit, yet provides superior safety and comfort for industrial needs. 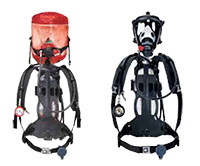 The SCBA is available in medium face piece/bell alarm or hooded with medium nose cup/plain whistle alarm configurations.